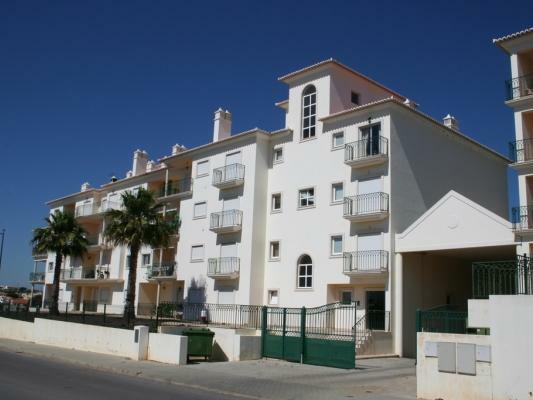 3 bed penthouse apartment Albufeira - Property for sale. Full Description: Spacious, fully furnished and equipped, 3 bedroom penthouse apartment in a private condominium located in the Montechoro area of Albufeira. Set back from the �strip� yet within walking distance of all amenities including bars, shops, restaurants, cafes, supermarkets, newsagents, beaches, tennis, gym & fitness centre and the new Golf Academy the location is perfect for holiday or permanent living. Built to a high standard with quality fixtures and fittings, this apartment offers value for money. Accommodation comprises an entrance hallway, lounge/dining room with woodburner and private balcony with sea, town and country views, fully fitted and equipped kitchen with larder/storage room, 2 double bedrooms with fitted wardrobes, the master with en-suite shower room and patio doors to a large private balcony with 180 degree country and mountain views. The 2nd bedroom has a small balcony with views over the garden, swimming pool and the countryside beyond. The 3rd bedroom has fitted wardrobes the whole length of one wall and is currently used as an office. The apartment benefits from electric shutters, air conditioning, private underground parking plus off road parking space and comes fully furnished and equipped. Outside you can relax in the communal landscaped gardens or on the sun terraces around the fully fenced and enclosed swimming pool and Jacuzzi. Given the location this apartment offers great rental and investment potential. Viewing recommended.